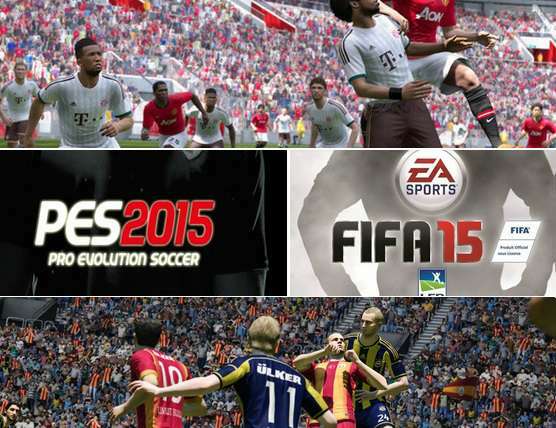 FIFA 15 vs PES 2015 Which game is better ? League season in europe is going to start this week which will take over the sports scene in europe for next 8 months, but there is another competition going on off the field and that’s between two of the most renowned football games in EA Sports FIFA vs Konami’s PES. Both games will be released at the end of September 2014 and we take a look at the new features announced and the gameplay footage shown by both camps. 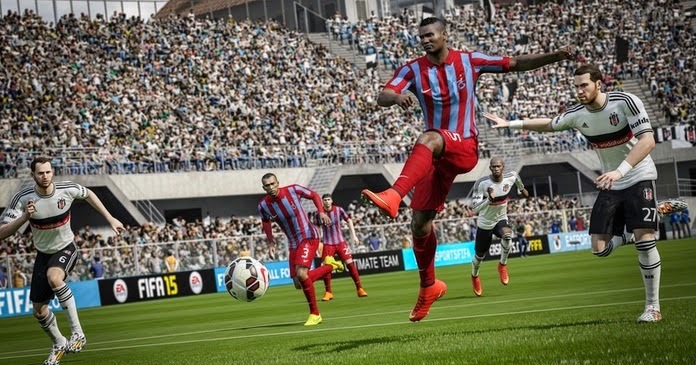 Konami has promised to take the gameplay of Pro Evolution Soccer to next level while EA Sports has signed a few significant deals which will make sure they get all 20 premier league clubs fully licened (kits, Stadiums managers everything exclusive to EA), while added a few more tweaks in the gameplay for FIFA 15. Both camps has released official gameplay trailers and the actual game-play footage and here are videos of both games available so far. The battle between the two big football franchise has been going on for years and both have had their ups and downs, PES is more of a fallen star as back in early 2000’s Pro Evolution Soccer was widely regarded as the best football game in the world, with real gameplay and physics while FIFA was more a arcade game with many officially licensed teams. But in the recent years with combination of PES’s failure to adapt with new high tech consoles and lazy ideas combined with EA Sports constant improvements in the FIFA series in all departments has put FIFA as one of the highest selling game year and year out. They not only has improved visuals but they worked alot on their gameplay and online features which makes FIFA hot favourit for football fans. But what is in store for us football fans this fall, when both games are released and we are in with a choice which one to buy ? we take a look at some of the new features promised by both camps. Konami released new and pretty life like graphics screens and after PES released their kind of teasing gameplay footage they have come out and released some official gameplay features which we can find in 2015 edition. With the slightly vogure headline of “The pitch is ours” konami has promised. An overhaul of shooting system with unique new animation and control over power and precision matched by equaly reactive and unique goalkeeper saving animations. Through balls have new physics ranging from delicate “Pirlo” like dinks and Gerrard like great long passes. Most of all games focus on precision, close control and dribbling right to players states just like in the PES glory days at PS2. Visuals run of “fox engine” which is used in the metal gear solid games and the players graphics looks Sharpe and detailed in the screenshots released so far. In the master league mode you will even be able to tell your grounds man to cut the grass longer or shorter to limit or enhance to ability of passing teams. My Club is the headline feature which is the rework of popular online master league which is pretty much similar to FIFA’s ultimate mode. Fifa has announced so many new features some of which are minor changes but your will notice it while playing the game for the first time, like ball hitting the corner flags, cross bar/goal post shaking after a cracking shoot hit the post, players shirts getting muddy/dirty as the match wores on and players reacting to bad challenges, last minute goals and stuff like that. Which is pretty cool but has very short lifespan on the game. The major changes include all 20 premier league clubs licensed in FIFA 15 with 20 premier league clubs made exclusively to FIFA which will give career mode a new life. Over 200 faces of premier league players will be scanned and produced in the game and the screenshots suggest incredible likeness to real life counter parts. Official Broadcasting features from Premier league SkySports and BTSports coverage will be included in the game plus EA Sports has promised to include famous chants from all 20 stadiums from premier league. For the very first time Goal line technology will be used in FIFA 15 just like in the real football. EA has promised to make FIFA 15 the most responsive game in the series, as the game agility and control features brings out the true personality of worlds best players and give you the remarkable level of control over the player your are controling. So far FIFA looks more sharp and well equipped to take on PES for another year, from what I have read from the big PES community blogs and forums the dedicated PES fans are not happy with the game. They labeled the PES 2015 gameplay experience in E3 to quite “underwhelmed”. On the other hand EA Sports is going all out on everything with sponsors, licensing, official teams and leagues and quite a few tweaks in gameplay. I know what game I will be buying but I would love to hear your thoughts on which game you think will be better this year and more importantly which game will you buy. Do let me know your thoughts in the comments box blow.